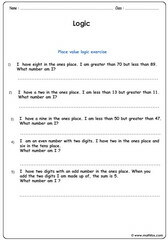 Math worksheets on logic. 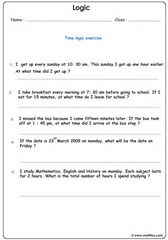 Suitable PDF printable logical reasoning worksheets for children in the following grades : 2nd grade and 3rd grade. 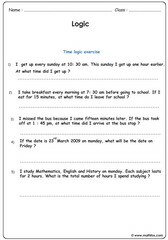 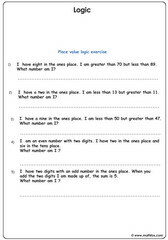 Worksheets cover the following logic topics: Time logic exercise, word problems and place value logic exercise.